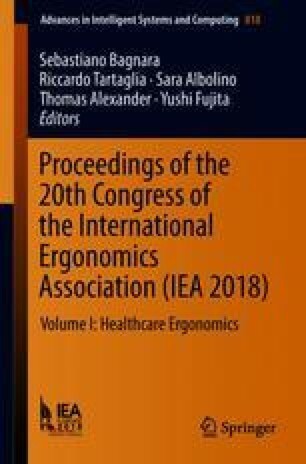 The objective of this study is redesigning quality and safety of care in Nursing Homes (NH), through a participatory approach based on human factors and ergonomics principles and techniques. We started with an in-deep qualitative analysis of daily practices in 4 nursing homes, selected on the basis of their performance (good and bad) and location (urban and rural). Then we performed on-site observations and ethnographic interviews with workers and patients. To conduct the explicit, non-participant observations, an original grid was developed, inspired by the definition and dimensions of quality. The crude notes of observations were subsequently re-aggregated on the grid by themes and dimensions of the observation scheme, then subjected to expert reviewers who evaluated weaknesses and strengths. According to experts’ review, the most relevant safety related themes are infections and falls prevention, quality of nutrition, behavioural disorders and management of emergencies. On the basis of the elaboration of data, we then designed a multidimensional intervention encompassing interactive training sessions, scenario based redesign of weak care processes, supervision and feedback to front-line workers and management. A follow-up session is scheduled to monitor progress on site and provide feedback, as well as an evaluation of sensitive indicators at the intervention sites compared to the regional benchmark. Pilot study shows feasability of the intervention and active participation of the involved workers.